Originally published by L.A. Review of Books; reprinted with permission of the author. Wolff uses 1913 Massacre as an entry point into Guthrie’s life. Despite Guthrie’s self-created persona as the “Political Okie,” with his deliberate misspellings, improper grammar, and “aw shucks” demeanor, Guthrie was not an uncomplicated personality. As he writes his narrative of “1913 Massacre,” Wolff draws out some of those complexities. On the one hand, Guthrie’s situation in 1945 was more stable than ever. He had completed his military service and several tours in the Merchant Marine, and had survived a torpedoing. Working with Moe Asch he was recording scores of songs and beginning a new project called “American Documentary,” which he described as “a kind of musical newspaper,” using songs to illuminate and comment upon current events. His semi-autobiographical novel, Bound for Glory, had received 150 mostly positive reviews and encouraged Guthrie to begin a second novel, Seeds of Man. A song he had written in Los Angeles in 1939, Oklahoma Hills, recorded by his cousin Jack Guthrie, reached number one on the folk jukebox list in 1945. That same year, along with Pete Seeger and others, he founded People’s Songs. The United States and the Soviet Union remained united against the Axis powers, unions had made unprecedented progress during the war years, and organized labor emerged for the first time as an important political force at the national level. Through the windshield of the tow truck I saw a sign that read “Calumet, Michigan” and immediately recalled the song — a song that’s hard to forget. I had first encountered it on Arlo Guthrie’s album,Hobo’s Lullaby. I remember listening to the song and writing down the lyrics on a sheet of paper, lifting and dropping the needle of the record player a dozen times before I was able to capture all the words accurately. Then I sang the song to myself. And sang it again. And again. 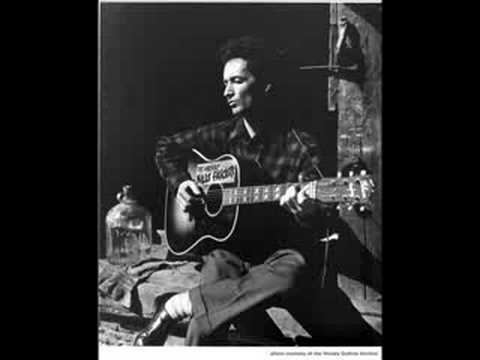 Dylan’s confrontation with Guthrie’s demise was the starting point for Dylan’s composition of Song to Woody, written only a few days after their first meeting. The song draws heavily upon Guthrie, using, almost note by note, the haunting, dirge-like melody of 1913 Massacre, and opening with the line, “Hey, hey, Woody Guthrie, I wrote you a song,” which is derived from a similar opening Guthrie had used in a poem for Elizabeth Gurley Flynn. The song is a tribute but also a farewell. The lyrics set up comparisons between the Depression-era ’30s and the ’60s, between Guthrie’s old life and Dylan’s new life. “Listen to the song Dylan felt he needed to sing,” writes Wolff, “and you hear a kid who’s come a thousand miles only to discover that what he came for no longer exists.” The song is important for another reason: it marks the commencement of Bob Dylan, the singer-songwriter. Dylan’s first self-titled album included only two original songs — Talkin’ New York,” a hillbilly’s satirical romp through the big city, and Song to Woody. 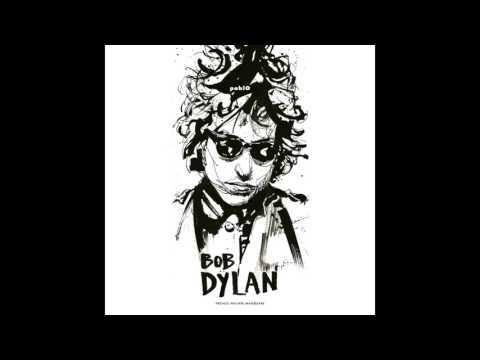 Subsequent Dylan albums contained exclusively Dylan compositions. About a year later I was asked to perform in a Labor Concert in Kenosha, Wisconsin, along with Woody’s son, Arlo. I told Arlo I had learned the song 1913 Massacre from his recording and that I wanted to give him a brick from the Italian Hall — a reminder of how our past can reemerge from under the weight of obfuscation.